With social media now so much a part of our everyday lives, it’s easy to forget what life was like without it. In a few short years, many of us have embraced life online with our digital footprint growing faster than that of a five-year-old being fitted for their first pair of school shoes. I’m DIO’s External Communications Manager - responsible for our digital presence. Government has not always kept pace with the speed of change experienced by its citizens online. The DIO supports Britain’s Armed Forces by providing the facilities and services they need to do the difficult and challenging jobs. 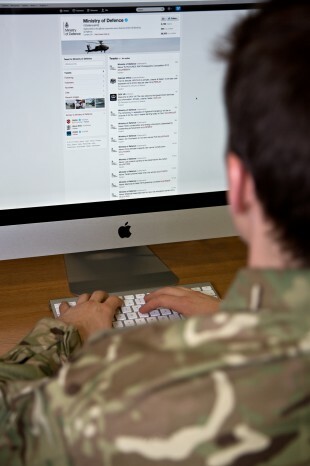 We’re a growing and progressive part of the MOD, but it wasn’t until last summer that we dipped our toe into the turbulent waters of social media. We started with a Twitter account @mod_dio with the intent of engaging with estate users – MOD and civilian – around defined geographical areas on the Defence training estate, piloting the work around Salisbury Plain. We targeted potential Twitter users living within a 20 minute drive of the Plain and set up a ‘geographical hashtag’ of #modontheplain to create a conversation with this group of people. Progress has been steady and we now have nearly 700 followers engaging with us in a conversation around life on the Plain. We provide our followers with information about firing times, access issues and military exercises. They provide us with a growing insight into their lives and issues; we’ve even been able to help them out with requests for information and advice. We aim to tweet at least once a day and plan to add new training areas to the conversation over the coming months. We have also added a stream of useful information aimed at occupants of Forces family homes, such as tips on cutting energy bills and accessing maintenance services. These tweets carry the hashtag #modSFA. These Inside DIO blogs on the gov.uk blogging platform followed in November. 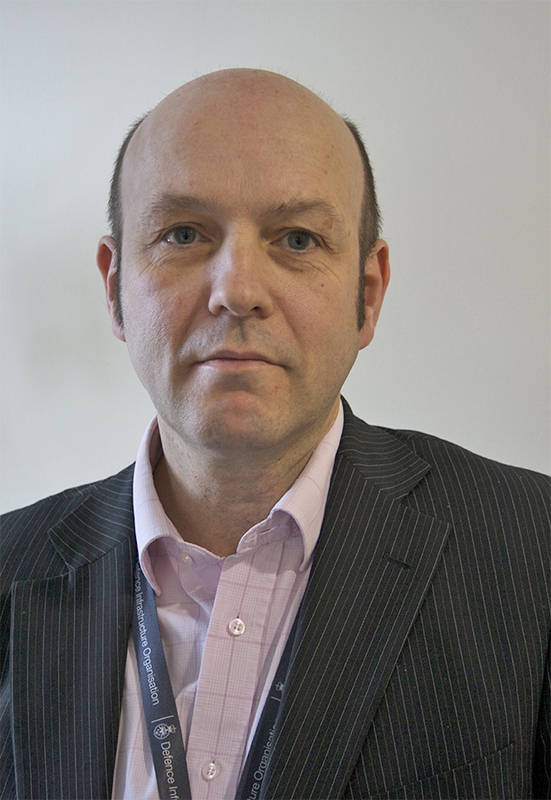 As you’ll have seen, it features a weekly post by colleagues across the organisation. Each contributor provides a personal view of their role within DIO linked to core business objectives. We’ve had contributions from a wide range of colleagues: from the Brigadier in charge of military housing to one of our archaeologists out in the field. We aim to blog at least once a week, but we’re always ready to explore new opportunities with colleagues. Our most recent foray into social media is the setting up of a DIO group on LinkedIn. Our intent here is to create and engage with DIO’s industry partners – present and future. By linking them with DIO professionals in the group we can develop a shared understanding of DIO’s role. This also supports staff retention and recruitment. The group sprang into life last month and we already have over 240 members from DIO and across industry. DIO is a growing organisation and we’re recruiting more than 400 specialist roles. As a communications team, we have been able to integrate ‘traditional’ press work with our burgeoning social media channels to support the organisation’s recruitment drive. LinkedIn profiles and case studies of key colleagues support each professional discipline being recruited. We’ve backed this work with Inside DIO blog posts from each person and alerted our friends on Twitter as each blog goes live. We’ve also created a handy 'Working for DIO' information resource on GOV.UK. Project managers, surveyors, ecologists, finance experts and security system engineers – they’ve all contributed to the digital recruitment drive. We’ve even made our military runaway guru into a bit of a LinkedIn cult hero! A version of this article first appeared on Comms2Point0, the free online creative communications resource.